8491. 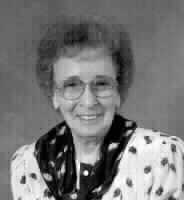 Alice Louise10 Allgood (Hiram Trammell9, Daniel Webster8, John Paschal7, Samuel Young6, John5, William4 Algood, Edward3 Allgood, William2, Edward1 Algood) was born in Oconee Co., GA January 1, 1921. Alice died May 2, 2008 in Columbus, Muscogee Co., GA.
She married Robert Houston Hatfield 1940. Robert was born November 21, 1907. Robert died February 8, 1991. 18126 i. Patricia11 Hatfield (living). 18127 ii. H. Glenn Hatfield was born October 17, 1942.